Colmanara Wildcat 'Chadwick', AM/AOS (aka Odontocidium) orchid hybrid flowers on flower spike . Correct genus is now Oncostele. 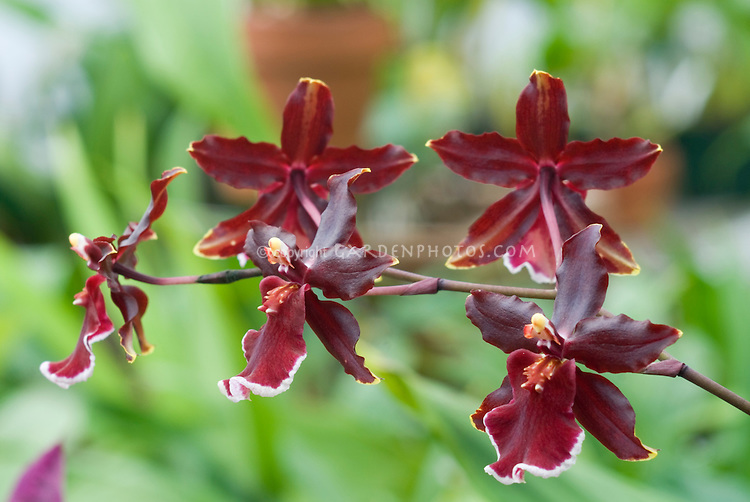 Oncostele Wildcat.